Welcome to Navarre, Florida! Navarre is located along the Emerald Coast, sandwiched between Fort Walton Beach and Gulf Breeze! Navarre is full of beautiful beaches, fun for the family, and authentic seafood restaurants. Although Navarre is full of various attractions and activities for the family, it is also a very quiet community that is the perfect place for you and your family to enjoy a peaceful and relaxing vacation. There are plenty of memories to be created with your friends and family in Navarre and we hope that you give us the opportunity to capture them. 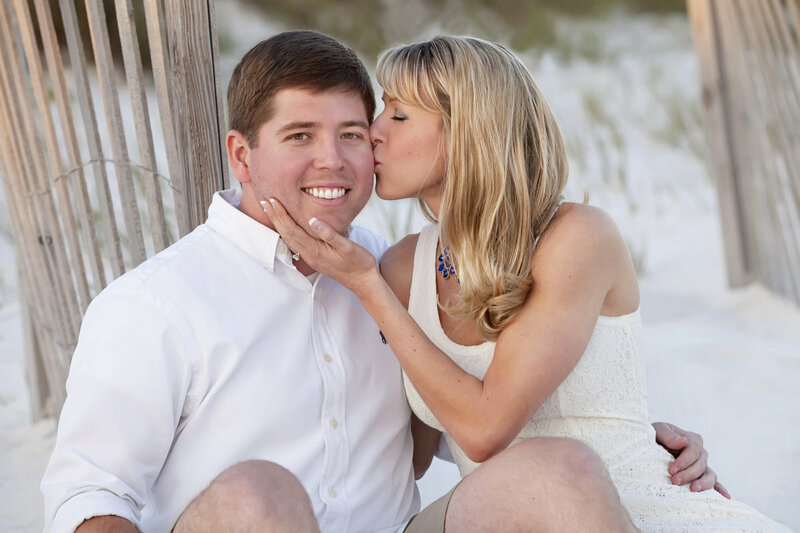 Your trip to the breathtaking Emerald Coast may be short but your captured memories will last a lifetime. Navarre offers a little bit of anything and everything for all ages. Anything from fishing off of the Navarre Fishing Pier for the dads to spending the day at the beach! While you and your family are enjoying your vacation in Navarre, you can go parasailing, play on floating blow up water activities, and rent a boat or jetski! Right on the Navarre beaches are a multitude of authentic seafood restaurants as Windjammers on the Pier, Sailor’s Grill, and Juana’s Pagodas. You will not be disappointed with any of the original seafood restaurants in Navarre! In addition to these mouthwatering seafood restaurants, there are plenty of other places to eat such as East River Smokehouse, Slippery Mermaid Sushi Bar, and TC’s Front Porch. After a hot, sunny day at the beach, you can get a refreshing snow cone from Tommy’s Snowballs, they are kid friendly and have over a hundred flavor options! Only a few miles away from the Navarre beaches is a local zoo called the Gulf Breeze Zoo. This is another fun day out and about with your family, especially for littles ones! While all of these attractions and activities are so much fun and enjoyable for everyone in the family, they are also a great way to create some very special memories with your family on the Emerald Coast. At Tiffany Sims Photography, it is our goal to capture the memories you have created as a family. 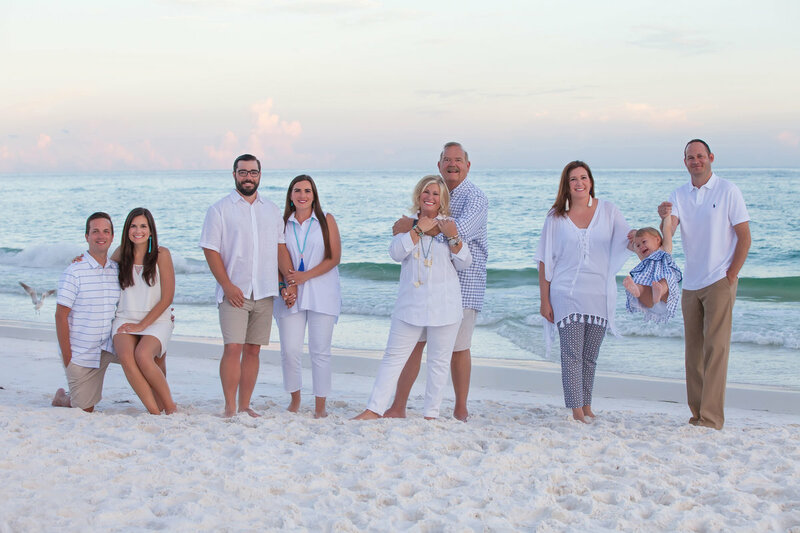 Spending your family vacation in Navarre with make it one that you will never forget, and there is no better memento of your trip than family beach portraits. Photographs create tangible memories for you and your family and we want to help you get the perfect family photos. Photography brings families together and we love to see families with all ages and with all generations! We hope that you give us the pleasure and opportunity to photograph your memories as a family on our amazing beaches. 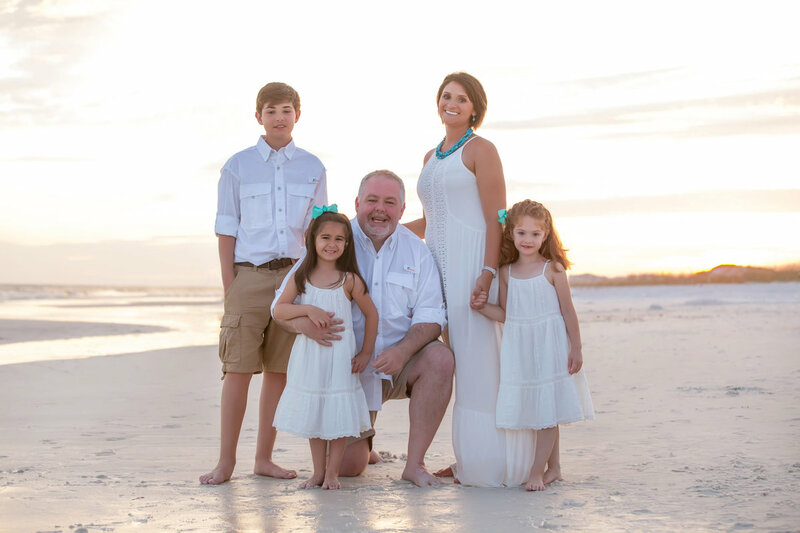 If you and your family are interested in having family beach portraits taken, please fill out the contact form on our website, email us at tiffany@tiffanysims.com or feel free to give us a call or text at (850) 259-3807. We hope you enjoy your family vacation on the Emerald Coast!